The Roller-Hook is an innovative simple vining crop trellising hook device which allows for the lowering and cleaning of tomato or cucumber plant quickly and safely due to its unique design. With the Roller-Hook, the process of adjusting the vining plants on it’s support twine is achieved with one hand on the trellising twine, a squeeze of the lock mechanism with the other hand….then the unit slides down the overhead support wire the required distance as the plant is lowered to workable height. This time and labor saving seamless process is made possible only with the Roller-Hook. Besides enhanced efficiency of working conditions, a specialized safety feature prevents the unit from slipping off the overhead support wire. The Roller-Hook consists of a pre-wound spook with 25 to 36 meters of UV stabilized twin which lasts up to three back to back crops before replacement is needed. All these features of the Roller-Hook results in substantial savings in labor and material costs. 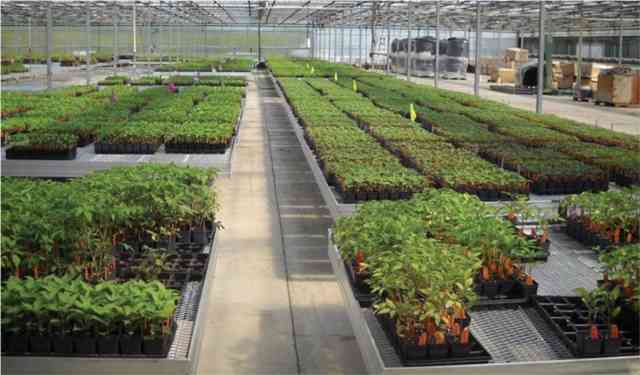 Provides significant increase in yield and quality. Attaches to existing trellising wires. Reusable for several seasons; just change the spool when the twine is finished. 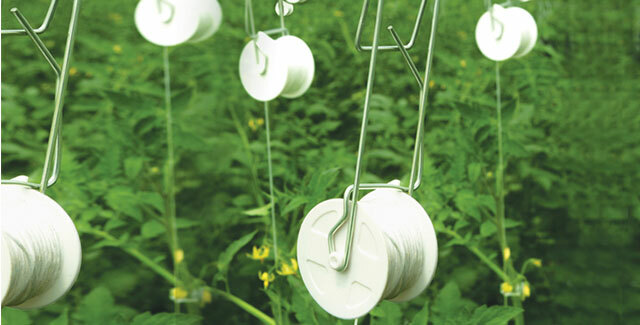 Spools come with 25 - 36 meters of UV resistant twine. Suitable for 2.5 to 4.0 mm trellising wire. Roller-Hook is a state of the art trellis hook. The unique design of Roller-Hook enables easy, efficient, and safe trellising of greenhouse tomato plants. Each Roller-Hook is composed of two parts, a multi season metal frame and a disposable spool. The unique design prevents the hook from accidentally slipping off the trellis wire. Full control of plant's lowering. Disposable spool with up to 36 meters of UV resistant twine. Up to three consecutive growing cycles. Ensures full control of lowering length and plant height. Designed to prevent slipping off the trellising wire. Plant is lowered smoothly and gently. 2. Place the spool axle (d) located on opposite side of the spool stopper (c) on the lower axle holder. 5. Roller-Hook is ready for operation when the two axles are inserted in their axle holders, the spool stopper is attached to the locking arm, and the twine edge is loose. Greenhouse Trellis Wire Hang Roller-Hook on the trellis wire (b). Verify that the locking arm (a) faces the direction in which plants will lower. To lower the plant: Hold the twine in one hand. Using the other hand, squeeze the locking arm (c) to release the stopper. Release the twine while moving Roller-Hook along the trellis wire in the direction that the plant is intended to lower.